It’s an odd phenomenon to travel by automobile in a second or third world country. There’s no need for radio. In fact, during your entire time in the car, other drivers will serenade you. You (or your driver), will most likely add to the aural deliciousness. Everyone, it seems, is blowing his or her horn. Constantly. People honk if you are in their way. They honk if you are not in their way, but might at some undetermined point, actually get in their way. They honk if they are passing you. They honk if you are going too fast. They honk for going too slow. They honk because they are stopping. They honk because they see someone they know. They honk because it’s a lovely day. They honk simply because they are alive! They honk early. They honk often. They honk. It doesn’t take much for people in these parts of the word to lay down on the horn. It’s overwhelming and headache educing if you aren’t used to it. In North American and Western Europe, the car horn is seen as an emergency tool, for the most part. We don’t really use it that often. When we do, it’s usually a way to caution someone. It isn’t an announcement. However, I’ve actually seen drivers in China, India, and Southeast Asia drive with a hand hovering over the center of the steering wheel just waiting for the opportunity to slam their hand down like they were a contestant on “Press Your Luck.” Instead of avoiding Whammies, though, they were trying to actually find then, and blaring their horn each and every time there might even remotely be reason to. I’ve often wondered why this is. Most of the world simply doesn’t have the money to invest in really effective policing of roadways. Perhaps it’s just something that has arisen over time, because the roads aren’t monitored, so traffic laws aren’t adequately enforced, and everyone drives like a bat out of Hell. In most countries, traffic lanes are merely suggestions. People don’t actually see them as hard and fast rules but more of a suggestion. I’ve also thought that maybe the overreliance on horns is some sort of holdover from another era. Most of these countries have lower standards of living, and many of their people are still desperately poor. By blowing their car horn constantly, they were simply saying “Look at me! I have a car!” Who knows what the mindset is, but no matter. Its insanity on four wheels. I had taxi drivers in Beijing who were smoking, drinking hot tea, blowing their horn, and screaming at other drivers all at the same time. I rode in a car in Russia that was so full of people we could actually feel the vibration of the axel spinning. I even once was stupid enough to seriously contemplate riding a motorcycle in the wilds of Vietnam (luckily, common sense won out, and it never happened). By far though, the most terrified I have ever been was riding in a car in Sri Lanka. I was visiting Colombo, and our plans included traveling to an elephant orphanage. During the horribly destructive civil war that the country endured for years, land mines had been placed throughout the jungle. Most of these were left after the war, and many, many people have lost limbs or been killed as a result. Additionally, huge numbers of elephants have also been killed by the mines. Some of those were mothers, and their calves were brought to the orphanage. In order to raise awareness of this issue and the dangers that mines pose in general, the orphanage was open to the public. That’s pretty much what it was like. Cars and motorcycles and trucks and even cows(!) were constantly darting out in front of us. We would come around corners and two trucks would be racing towards us on both sides of the road. Brakes would squeal, the steering wheel would be turned rapidly, and we would start and stop, and swerve. All the while everyone was blowing their dang horn! After an hour on the road, we stopped and got a drink, just to take a break and steady our nerves. Then, it was back into the car. I was thankful for seatbelts, but unsure if they’d actually work. My coping mechanism eventually became to simply pretend it wasn’t happening. I leaned my head back onto the headrest, and closed my eyes. Two hours was terrifying, but manageable. While in Vietnam, I had a five hour ride in very similar situations. We were traveling up from the Mekong Delta, making our way to the airport in Ho Chi Minh. If Sri Lankan traffic equates to a Star Wars analogy, Vietnam’s comes directly from “Indian Jones and the Kingdom of the Crystal Skull.” Remember the scene with the ants? Now imagine the ants are motorbikes and they are driving in every direction all at the same time. Each driver blowing their horns and screaming at each other for being in the way. I wasn’t driving, but by the time I got to the airport, I had a splitting headache and I had to have a couple of beers before I was unwound enough to even think about going through security. I can find a lot of charm about a lot of things in other parts of the world, but when it comes to traffic, I like it western and safe. 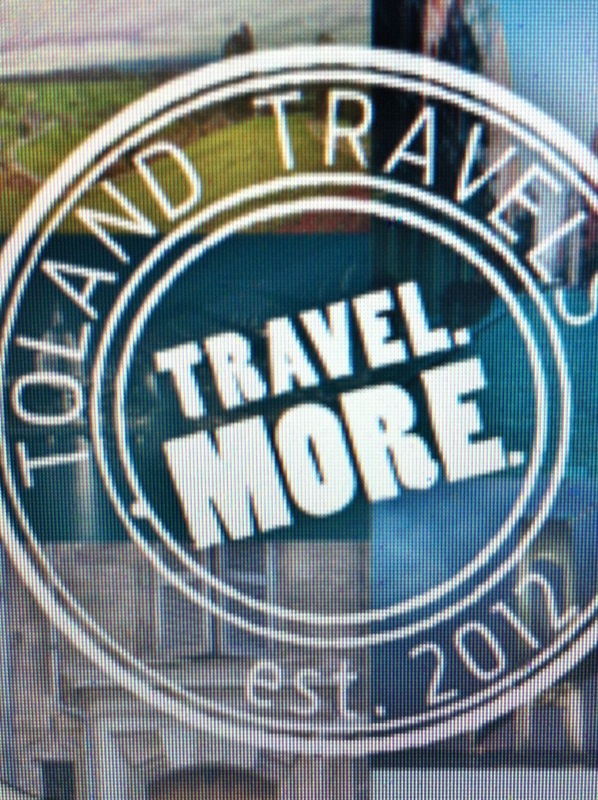 ← Toland Travels – LIVE!